This is the new added Party Dungeon from the Patch 1.3.0. It consists of 6 floors and the main goal for the party is to defeat the Wizard of the Netherworld which will reward players EXP, Aether Dusts and bound Zen. This dungeon also provides a reasonable amount of Aether Dust used for creating Insignia for your pet. The catch of this guide is to complete the dungeon with the bonus rewards efficiently without getting trap in a loop. 2 Bosses, we will go there later. x50 HP for each boss. Multiple portals that lead to different floors of the dungeon. Please note that this needs to be done in THIS EXACT ORDER if you want to take the most of out of the dungeon as there is a certain in-game trigger that will double the amount of your rewards! 1. Find and kill the Beholder first. Why? This specific Boss will double the rewards after you finish the dungeon so make sure you kill this one first before the Wizard. This boss deals more damage than the Wizard (based on my experience and I'm running the LoD solo with my Dark Knight). It has an AoE laser damage that deals damage per second within a straight line so make sure that you don't stand in front of him. The wide AoE also makes most of his attacks difficult to dodge so be sure not to tank it unless you're gear enough to do so. Also, these dungeons are easy to solo -- if Death Beholder kills you, just click on "return to safe place" -- it will NOT remove you from the dungeon; it will just take you to the foot of the stairs, which you can climb and attack the Death Beholder again. Repeat until he is dead. 2. Find the Wizard and kill him last. 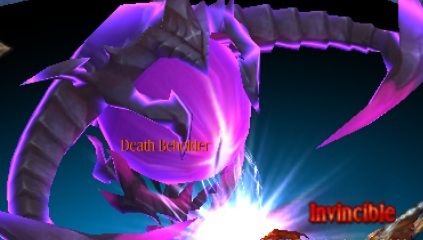 Beating him will end the dungeon, make sure that you killed the Beholder first before him or else you won't get the X2 Reward. He's easy. Trust me. You can beat him while in Auto. This is something you need to avoid as much as possible. It either warps you back on the same place, on the previous floor or the 1st floor. Be sure to avoid this if you're in 3rd or 4th floor. Blue Portals are neutral and haven't been entered by anyone yet. It changes it color when someone enters it, once it changes, it stay permanently until the end of the Dungeon. Think of this portal as your guide on which ones should be entered and to avoid with. The labyrinth will start with Blue Portals as default. Note: When a player was able to warp to the Crevice of Space-Time, it's color will stay Blue until the Beholder is defeated. 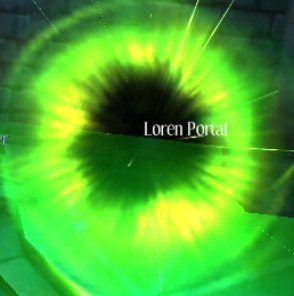 This one is the REAL portal. Whenever you enter the Green Portal, it will warp you to the next floor BUT please ensure that you've killed the Beholder first before looking for these portals per floor as it will lead you directly to the Wizard, which is the first and final boss of this dungeon. Is there a Pattern for this Dungeon? There is no specific pattern to how to get to the bosses directly and it keeps changing per run. However, with this guide, you will know exactly where to look for once the portals change their colors. So as of now, based on MiroBG92's reply: we can actually get into the Beholder or the Wizard through the Green Portal by random and regardless to the floor you are currently on. ​Once you get to the Beholder, kill it, then go to the Blue Portal on the end of his area. Go to 4 or 5 Green Portals. If you follow this guide in order, this will be the total Reward including the x2 from the Beholder. 1. Is there anything else aside from the Dungeon Rewards? Answer: No. There isn't. In-game experience, I guess. And you get to learn stuff too. 2. 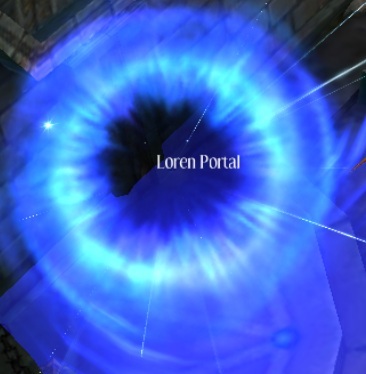 What if every portal in the current Floor that I am at are Blue? Answer: Someone has to enter those portals. The portals will change it's color permanently once someone is brave enough to enter one, with the risk of going back to the to the previous floor or worse. 3. Is this the only dungeon that gives Aether Dust? Answer: As of now, yes. This is the only Dungeon that gives Aether Dust. 4. Is there any other way to get Aether Dust? Tip: Ran out of Aether Dust? For 100 unbound Diamonds, you can summon a Grade 4 Orb and receive a random material or Insignia! You can visit SpiritAngela's post about Pets and Insignia here! Without them, we won't be able to know exactly how this dungeon works! So KUDOS for them! Questions? Suggestions? Comments? Drop those all down in the replies so we can discuss more about the Labyrinth of Dimensions! Thanks for that info Friedrich! OT: I haven't seen you for a while, how are you? That's quite a lot of activities you got there! The forum is pretty much the same before you left it. Good to have you back! Yes, this has been explained under "how do Portals work" section. The context of that section is correct and the colors do indicate whether the portal has been entered or not but please note that whenever you enter the Labyrinth before the timer starts, all portals will start as Blue. Those points are incorrect you will always be ported to the next floor if you enter a green portal(the correct path) but theres a chance on a green portal to get tped directly to beholder or wizzard at random. One more question so I can update your reply: Going to Green Portals give you a chance to get into the Beholder/Wizard's boss area, is there any specific floor to have a guarantee chance to get into them? @Friedrich Thank you for that! I'll add that to the guide in case they rushed into the Wizard's room immediately! @MiroBG92 While I agree to your posts, please be courteous enough to include in your quote where I said that the list below are theories but I appreciate your time for clarifying the Green Portals. If you've read the whole guide, I clearly stated that Green Portals are the correct ones, you'll find that under "How do Portals work" section, too. 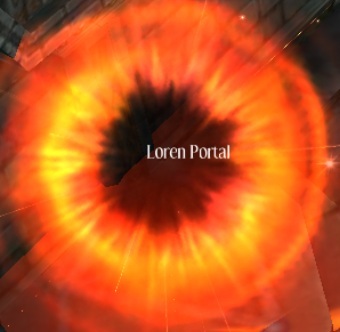 Same goes for the Red Portal. I will edit the guide with both of your Inputs! Thanks for the support guys! 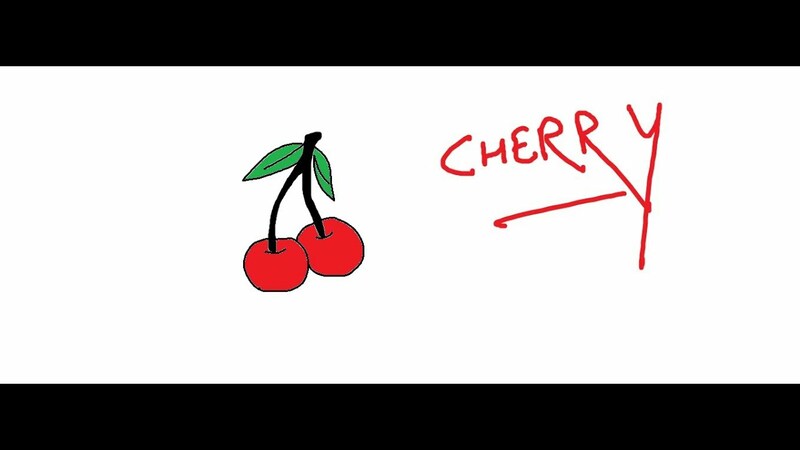 And I will give you guys credit for clarifying the theories too! Thanks for the update Miro! I will be adding this info to the guide!! Thanks Darkenergy! Since the dungeon is a bit new and difficult to find in Google, we'll have to make one for the community instead! UPDATE 10/01/2016 22:06 UTC: Added the screenshot and the headers for this guide! Thanks to Friedrich and MiroBG92 for making this draft into a guide! 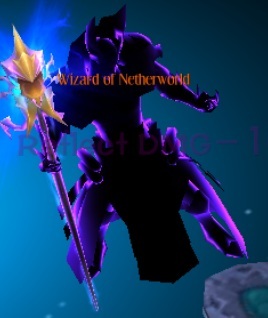 I got a question tho Has anyone succeeded in creating an insignia on the higher lvl than the purple one yet? Haven't gone one yet. The highest I got is the Purple one. I saw someone mentioned that the highest is Tier 10 and it's pink but I guess it's better if they see this thread so they can post it for everyone's convenient, at least a screenshot of it and how he do it so we can create another guide for that too. Nice guide! I saw you mentioned this, but perhaps in a more prominent place further emphasize that if you find the Wizard first, don't panic -- don't fight him -- just go out the portal behind him and keep searching for the Death Beholder. Same with Wizard, but as has been noted, Wizard is easier to kill than Death Beholder and doesn't do as much damage to you when you are fighting him. Hi Badkitty! I already added that to the guide thanks to Friedrich but I appreciate you for pointing that out! Nice work, everyone! We will sticky this thread for everyone's convenience! All times are GMT0. This page was generated at 10:27 AM.